As the parent of two millennials, and talking with millennials across our district, you can see the economic distress our millennials are facing. Expensive college tuition, higher housing costs, high child care expenses, lower or stagnant wages, taking on more debt, underpaid and underemployed. Those between the ages of 18 and 34 are better educated, at a cost. The average cost of an undergraduate degree has risen 180% from 1987 to 2016. For example, receiving a 4 year degree at Lamar University, cost an average of $80,000. Additionally, having a job market with college graduates, has caused employers to raise hiring standards, requiring a college degree, even for entry level positions. The addition of a college degree, means taking on student loan debt. So they are penalized for seeking to improve their lives through the attainment of a college degree. The recent tax cut benefitted older, wealthier Americans, amounting to fiscal theft to our younger generation who will bear the burden of repayment. Generational injustice is a condition being forced on our millennials. Receiving balance and economic security, is an important issue for our millennials, one which requires comprehensive policies for their future success. 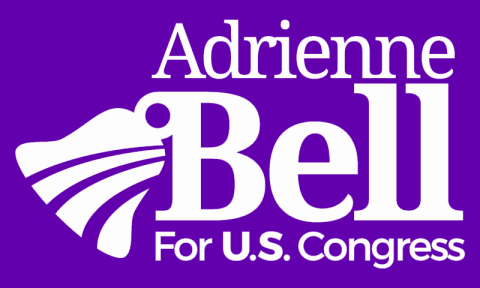 Our campaign supports Medicare for All (millennials are nearly half of all uninsured people in the U. S.); Ending student loan debt; Free college or trade education; Early Childhood Education (reduces need for child care) and raising the minimum wage. Together, we can strength the economic security of our millennials, as we address generational injustice.